Hello...my friends. Just opened the Tim Holtz Summer ink collection and had to use them. All card stock started out white. Stamped and clear embossed the wreath. Added flowers for a summer look. 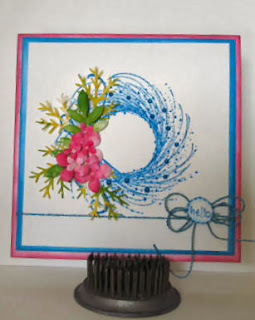 Fantastic transition from a holiday wreath to a colorful summer design!